A fresh voice with a positive message, Jenna Hager shows how lives can be changed when provided with compassion, community support and educational opportunities. Jenna Hager has seen firsthand how small change can make a large difference in a single life. Currently the chair of UNICEF’s Next Generation, an initiative dedicated to reducing the number of preventable childhood deaths around the world, Hager traveled throughout Latin America and the Caribbean with UNICEF where she saw firsthand the plight faced by the underprivileged. Her experience inspired her to write Ana’s Story: A Journey of Hope, New York Times best seller based on the life of a 17-year-old single mother living with HIV and determined to shield her child from the abuse and neglect that riddled her own childhood. Hager shares her own stories of creating change in someone’s life and leaves audiences with a call to action on how they too can improve people’s lives in their own community. A contributing correspondent for NBC’s Today, Hager shares positive, uplifting messages of regular people doing extraordinary things. Passionate about literacy, education and improving inner-city schools, Hager was herself a teacher in Baltimore, MD. In addition to Ana’s Story, she co-wrote Read All About It! with her mother, former First Lady Laura Bush. Hager and Mrs. Bush also released a second children’s book, Our Great Big Backyard, which celebrates the Centennial of the National Park Service, and encourages children to go outside and explore America’s parks. 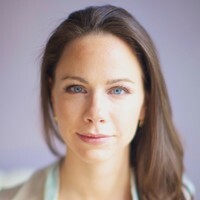 Most recently, Hager co-wrote a book with her sister, Barbara Pierce Bush titled Sisters First, which released in October, 2017. It takes readers on an extraordinary and deeply personal journey behind the scenes of what it is like to be born into a political dynasty, reveals never-before-told stories about their family, and uncovers the enduring sisterly bond that kept them sane through it all. A devout humanitarian, Jenna Hager shares with audiences her message of empathy for supporting those in need and emphasizing the importance of early childhood education. From traveling to Latin America in 2006 with UNICEF, to teaching and helping to improve inner-city schools in Baltimore, to her family involvement in the Points of Light non-profit organization founded to support volunteerism, Hager shares inspiring stories that put a human face on the startling conditions that afflict millions of youth around the world, and demonstrates how small change can make a large difference in a single life. She also draws on her New York Timesbest-selling book Ana’s Story: A Journey of Hope, which chronicles the severe hardship of abuse and neglect of a young woman Hager met in Latin America, and is ultimately a story of courage, resilience and determination. Hager motivates people to triumph over adversity and become involved in caring for and supporting the disadvantaged individuals, schools and communities in society that need help. United in their humanitarian missions and the spirit of service—as well as through their close family bond—Barbara Pierce Bush and Jenna Hager have found a shared purpose in giving voice to the disadvantaged while bringing to light stories of hope. Coming from a unique vantage point as the only twins to grow up in the White House as both grandchildren and children, Barbara and Jenna were inspired to live lives of meaning from an early age. Stemming from their travels to impoverished areas in Africa and Latin America, they have now made it their life’s calling to address the most pressing health, education and economic inequality issues of our time. Whether through Barbara’s creation of Global Health Corps or Jenna’s position as a Today correspondent and UNICEF chair, both women help spread the message that ideas put to action are the best kind. With their special brand of infectious warmth and kind humor—evidenced in their delightful back and forth banter during their presentations—this dynamic pair will ignite an audience’s passion to serve and inspire future young leaders to give back in their schools, local communities or abroad. Everything went great - Jenna Hager's speech had a good message and she also really appealed to the graduates who liked her use of personal anecdotes and humor. Jenna was also very gracious and accommodating for photos etc. with our students and faculty. Great success all round. Jenna Hager was wonderful! The Citizen Corps Conference was very fortunate to have had such an outstanding speaker as Thursday's keynote. Jenna is passionate about her life, her family, and about people. She is humble and caring and she made so many people feel very special during her limited visit to CT.
Our event with Jenna Hager was a huge success. The ballroom has never been as full as it was! What a wonderful problem to have. Of course, Jenna was loved and appreciated by all. She made the evening pleasurable and was extremely interesting. 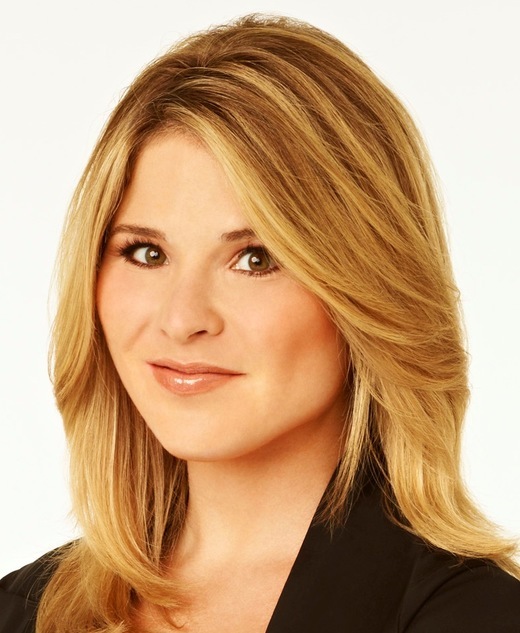 Jenna Hager took the time to work the Junior League and the work we do into her talk. She was warm, funny, motivational, and more than we could have ever hoped for! Every person in that room was so amazed and inspired. Naples is Bush country, there’s no question. But, today it’s Barbara’s and Jenna’s land. Everyone is in love with the twins!